Richard D. Crabtree is a Managing Partner for Whalen & Company, CPAs and also serves as a Tax Partner, overseeing the firm’s tax practice. He possesses a depth of knowledge in business and individual taxation, specializing in identification and implementation of advanced Federal, State and Local planning techniques. Richard’s clients benefit from significant tax savings strategies through utilizing Federal, State, and Local tax credits and incentives. His expertise in business consulting allows him to provide valuable guidance at all stages of business growth. Richard serves clients in a broad range of industries including manufacturing, retail, distribution, nonprofit, construction, restaurant and hospitality, and service professions. With more than 33 years in the tax and accounting industry, Richard’s experience allows him to advise on a variety of individual and business matters to assist business owners and executives in meeting their strategic goals and achieving financial success. Additionally, he plays an integral role in the continuing education of the firm’s staff members. Richard is a Certified Public Accountant and Personal Financial Specialist. 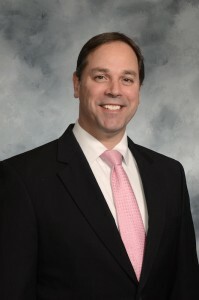 He is a member of the Ohio Society of Certified Public Accountants, the American Institute of Certified Public Accountants, and the Worthington Estate Planning Council.